We have been relying on the Domain Name System (DNS) since the dawn of the internet. 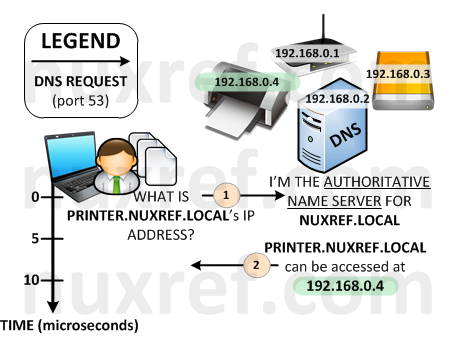 Simply put: it allows us to access information by a human readable string or recognizable name such as google.com or nuxref.com instead of it’s actual IP address (which is not as easily memorizable). If we didn’t have the DNS, then the internet would not have evolved as far as it has today. The DNS was built on a series of Name Servers that are all looking after their respected domain (or zone). Our Internet Service Provider (ISP) is lending us their DNS servers everyday when we connect to them. It’s our wireless router (at home or at work) that passes this server to our tablet, phone, laptop etc… when we connect to it. Here is a simple DNS query taking place illustrating how most of us are setup today. Managing our own Authoritative DNS Server allows us to catalog our personal devices we use daily with great ease. If you’re publicly hosting content, an Authoritative DNS server can be used to even distribute the traffic you servers receive both geographically and as a distributed (load balancing) approach. It gives us the ability to dynamically associate names to all of our devices on our network. It’s great for the hobbyist and absolutely mandatory for any medium or larger sized company. PowerDNS is my preferred DNS server solution. I personally prefer this to it’s long-term predecessor Berkeley Internet Name Domain (BIND). BIND has been around since 1984 and has gone through years of hacky patches to get to where it is today. PowerDNS is much younger (first release was in 1999), but was written without all of the growing pains BIND suffered through from the start. In all fairness, BIND developers were forced to deal with RFC (Request for Comments) as DNS continued to evolve to what it is today. Where as PowerDNS already had a stable set of requirements to work with from day one. Not to mention PowerDNS can be easily configured to use alternative backend databases. A fast and reliable Authoritative DNS server with a PostgreSQL database backend. You want a central configuration point; you want everything to be easy to maintain after it’s all set up. You want everything to just work the first time and you want to leave the figuring it out part to the end. Package management and version control is incredibly important to you. You want the ability to catalog your local network by assigning devices on it their own unique (easy to remember) hostnames. You want to maintain the ability to surf the internet by forwarding on requests your DNS server doesn’t know to another that does. The beauty of running your own Authorative DNS grants you the ability to catalog and easily access everything on your local network by it’s hostname (you assign). PowerDNS (v3.x) configured to use a Database Backend (PostgreSQL) giving you central configuration. This tutorial focuses on version 8.4 because that is what ships with CentOS and Red Hat. But most (if not all) of this tutorial should still work fine if you choose to use version 9.x of the database instead. Poweradmin (v2.x) will provide our administration of the DNS records we add via it’s simple web interface. Please note the application versions identified above as this tutorial focuses specifically on only them. One big issue I found while researching how to set up thing on the net was some tutorials I found didn’t really mention the version they were using. Hence, when I would stumble across these old article(s) with new(er) software, it would make for quite a painful experience when things didn’t work. Please also note that other tutorials will imply that you setup one feature at a time. Then test it to see if it worked correctly before moving on to the next step. This is no doubt the proper way to do things. However, I’m just going to give it all to you at once. If you stick with the versions and packages I provide… If you follow my instructions, it will just work for you the first time. Debugging on your end will be a matter of tracing back to see what step you missed. I tried to make this tutorial as cookie cutter(ish) as I could. Therefore you can literally just copy and paste what I share right to your shell prompt and the entire setup will be automated for you. 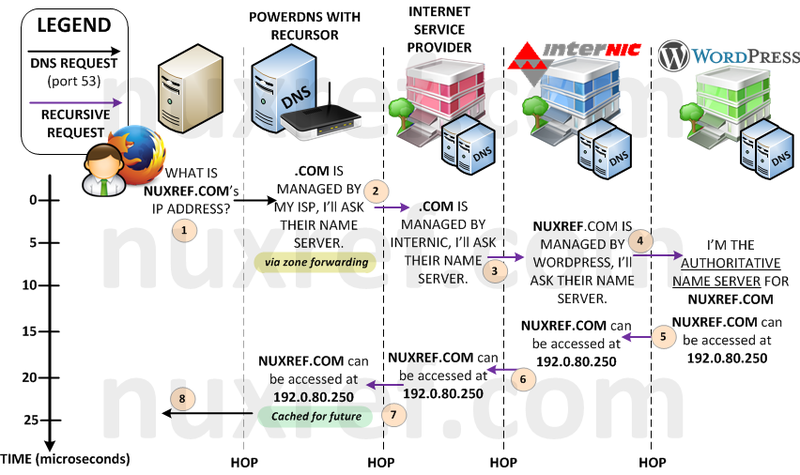 The following four (4) steps will get you set up with your very own DNS server. This is the key to my entire blog; it’s going to make all of the remaining steps just work the first time for you. All; I repeat All of the steps below (after this one) assume that you’ve set this environment up. You will need to reset up your environment at least once before running through any of the remaining steps below or they will not work. It’s also important to mention that you will need to be root to configure the DNS server. This applies to all of the steps identified below throughout this blog. I re-hosted all of the packages I used to successfully pull this blog off. This allows me to host this information and pair it with the software it works against. Feel free to hook up to my repositories to speed up your setup. # allows you to haul in a working setup right out of the box. sed -i -e "s|^[ t]*;*(date.timezone[ t]*=). *|1 $TIMEZONE|g"
# got a database running using one of my earlier tutorials. # could otherwise reset things and you'll loose everything. To simplify your life, I’ve made the configuration of all the steps below reference a few global variables. The ones identified below are the only ones you’ll probably want to change. May I suggest you paste the below information in your favourite text editor (vi, emacs, etc) and adjust the variables to how you want them making it easier to paste them back to your terminal screen. # The following is only used for our SSL Key Generation. Now for the rest of the global configuration; There really should be no reason to change any of these values (but feel free to). It’s important that you paste the above information (tailored to your liking’s) as well as the below information below to your command line interface (CLI) of the server you wish to set up. # /etc/resolve.conf later. This is in fact your name server. # to just the server you're hosting on. # above failed we'll just set the address to your local address. # Assign a default in case the above command failed. # will set some early examples up for you. # must install it or this blog simply won't work for you. I realize the above environment can seem a bit cryptic. 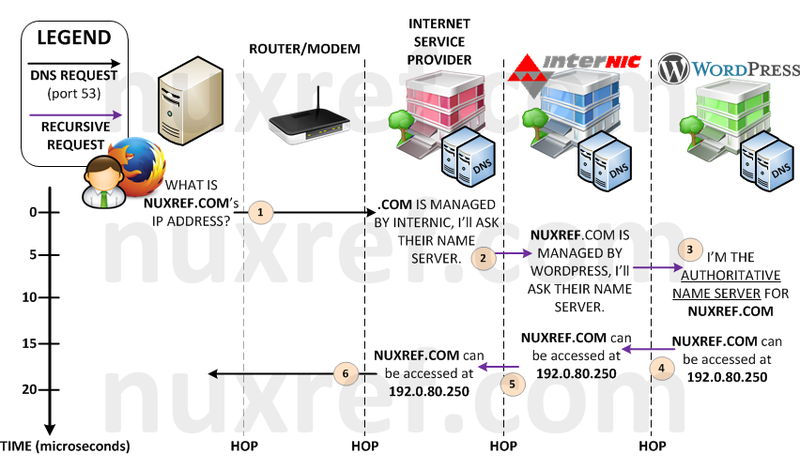 I tried to simplify this DNS setup so that even a novice’s life would be easy. The environment variables attempt to detect everyones settings automatically. In some cases, I may have just made it worse for some (hopefully not). It would be a good idea to just echo the defined variables to your screen and confirm they are as you expect them to be. They really are the key to making all of the next steps work in this blog. [ -z $(eval "echo $$VAR") ] && echo "You must set the variable: $VAR"
First off, make sure you’ve set up your environment correctly (defined in Step 1 above) or you will have problems with the outcome of this step! # Optionally Eliminate Reset Database. echo "Enter the role password of '$PGRWPASS' when prompted"
# This will get your database started with some working data to use. # this step. It becomes especially useful in debugging later. # back out to the internet. # Alternatively, PowerDNS is hardcoded with a default set of root-hints. It’s important to take a time-out on this step just to make sure everything is working. # will secure all our inbound and outbound mail as. send it a reload or just run the below command. Use the login/pass as admin/admin when you log in for the first time. Consider changing this afterwards! You should now be able to visit https://poweradmin and see a login screen. You may have to accept the ‘untrusted key’ prompt. Don’t worry; it’s safe to do so! In fact, if you’re worried, then just have a look at the key itself before accepting it. You’ll see that it’s just the one we generated earlier. The login is admin and the password is admin at the start. You will want to consider changing this right away after you log in for percautionary sake. Your setup can now be illustrated by the model below. It’s virtually the same setup as you had before however now instead of querying your ISPs DNS Server, you query your very own local one. Now you can easily maintain your own local network and begin labeling the devices you use on it using PowerAdmin. Your Authorative (Power)DNS Server caches the location for you for a period of time making subsiquent requests to the same spot VERY fast. All Subsequent Requests are Cached for a Period of Time. Up until now, our ISP was using it’s own root.hints file (or some alternative method) to look up your request. But now, it is our server that is going out directly into the big bad internet instead using this technique. Since DNS requests are not encrypted, it’s now possible for others to spy on the hostnames we’re resolving (and places we’re are visiting). Not only that, these same people can easily trace the source back to us (all DNS requests originate from our IP now). This can allow someone to specifically know the online banking site you use as an example. Prior to hosting your own DNS server, all websites and servers you accessed were channeled privately between you and your ISP so this was never a problem. It was our ISP who made the (recursive) requests for us instead of us doing them ourselves. Prior to now, what we looked up didn’t explicitly trace back to you, it traced back to our ISP. Previously, we actually had more privacy (depending on the contract we signed with our ISP). Your ISP has thousands of clients making requests to it’s DNS servers constantly. As a result, it has probably already cached 90% of all the websites we intend to visit. Cached content means a very a speedy response from our server. Meanwhile, our local DNS server’s cache will (probably) be empty most of the time (depending on how many people will use it). Hence your ISP’s DNS Server will be MUCH faster then yours. A forwarding zone of ‘*’ (asterix) tells the PowerDNS Recursor to forward all requests to a specific Server. 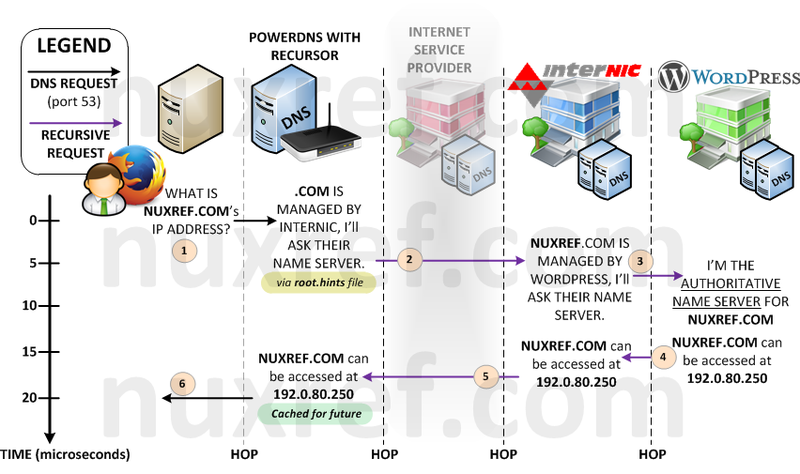 In our example we use our ISP’s DNS Servers. # now are the public ones offered by Google. Got Old BIND Configuration You Need Imported? This step is completely optional! If your not familiar with what BIND even is, or know you’ve never used it, you can freely skip this section. If you migrating from BIND to PowerDNS then you may have a setup in place. PowerDNS makes an easy transition by writing a tool that will scan your old BIND configuration and generate the SQL needed for an easy migration to PowerDNS. # I just had 1 simple DNS zone, but you may many. # any entries you don't think would be useful. # based on the SQL file we just generated. So… That’s it? Now I’m done? Yes and No… My blog pretty much hands over a working DNS server with little to no extra configuration needed on your part. Your PostgreSQL Database: This is where all of your DNS configuration is stored. You definitely do not want to lose this. May I suggest you reference my other blog entry here where I wrote a really simple backup/restore tool for a PostgreSQL database. /etc/poweradmin/*: Your PowerAdmin flat file configuration allowing you to centrally manage everything via a webpage. /etc/pdns/*: Your PowerDNS flat file configuration which defines the core of your DNS Server. It’s configuration allows you to centrally manage everything else through the PowerAdmin website. /etc/pdns-recursor/*: Your PowerDNS Recursor flat file configuration which grants you the recursive functionality of your DNS Server. Apache is a perfectly fine alternative solution as well! I simply chose NginX because it is much more lightweight approach. In fact, PowerAdmin already comes with Apache configuration out of the box located in /etc/httpd/conf.d/. Thus, if you simply start up your Apache instance (service httpd start), you will be hosting its services right away. Please keep in mind that the default (Apache) configuration does not come with all the SSL and added security I provided with the NginX templates. Perhaps later on, I will update the template rpm to include an Apache secure setup as well. This blog took me a very (,very) long time to put together and test! The repository hosting alone now accomodates all my blog entries up to this date. If you like what you see and wish to copy and paste this HOWTO, please reference back to this blog post at the very least. It’s really all I ask. I’ve tried hard to make this a complete working solution out of the box. Please feel free to email me or post comments below with any suggestions you have so I can ensure this blog is as complete as possible! Positive feedback is always welcome too! This blog makes use of my own repository I loosely maintain. If you’d like me to continue to monitor and apply updates as well as hosting the repository for long terms, please consider donating or offering a mirror server to help me out! This would would be greatly appreciated! Poweradmin Official Website and it’s GitHub page. This entry was posted in Linux HOWTO and tagged Authoritative, Centos, DNS, DNS Server, Domain Name Server, Domain Name System, Management, pdns, pdns-recursor, PostgreSQL, Poweradmin, PowerDNS, Red Hat, RPM on July 4, 2014 by l2g.